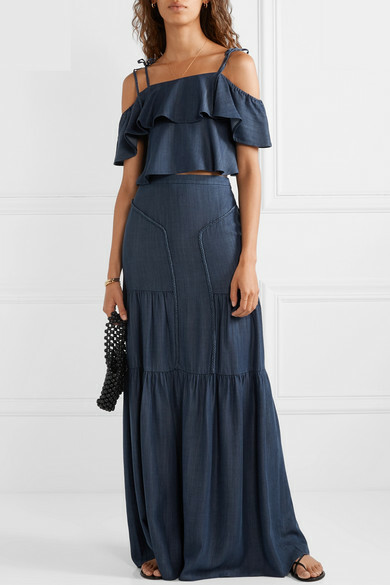 Rachel Zoe's 'Angie' top was styled with the coordinating maxi skirt at the Spring '19 show, though it will look just as good with high-rise shorts on vacation. 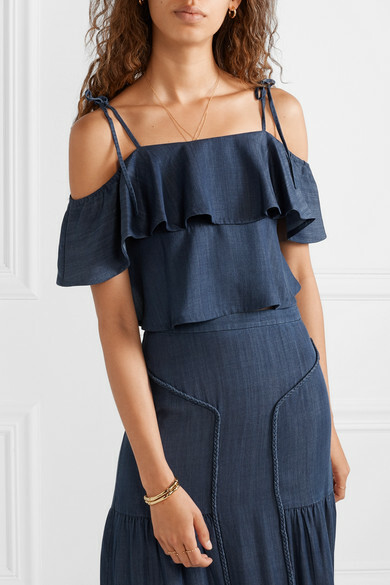 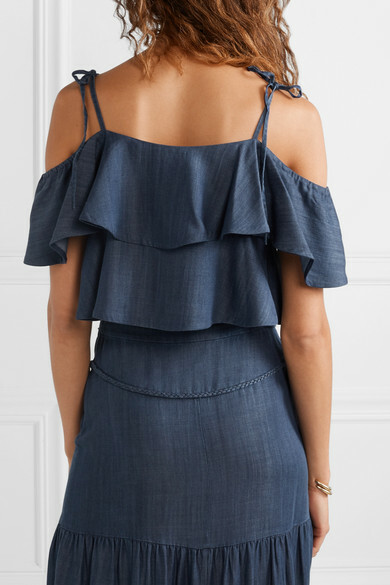 It's made from Tencel-chambray and has a floaty ruffled overlay along the elasticated cold-shoulder neckline. 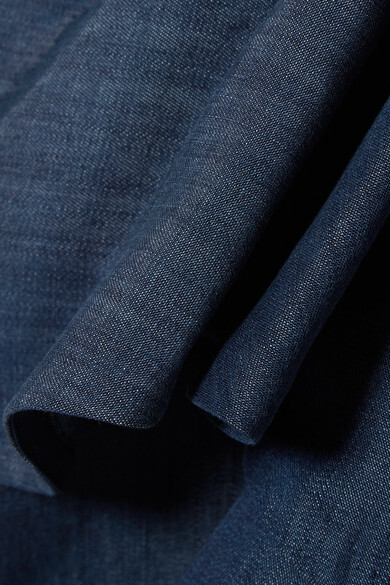 Adjust the straps to your ideal fit.